You drive by the BHHS (first building after Out of the Fire) Donegal office every time you come to the Laurel Highlands. 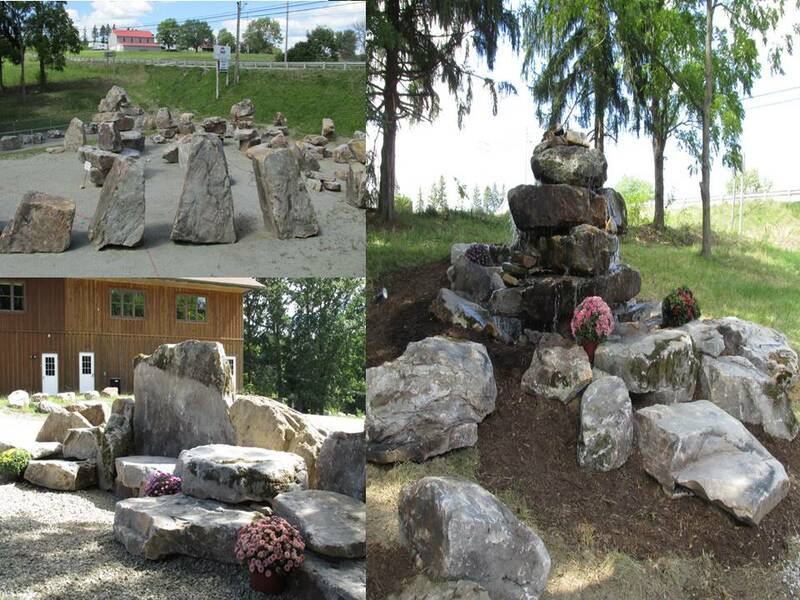 Mark Neiderhiser, just created a rock garden in the back parking lot! PINEROCK is his business, and he’s set up his own Stonehenge, water fall, picnic table, and throne, ALL out of boulders for you to see the work that he can do. He can be contracted for rock walls, boulderscaping, natural rocks, and boulder supplies. Stop in and take a look! Catch him at 724-455-7060.